Lapiztola comes from the Spanish words lapis (pencil) and pistola (pistol). A play on words, it essentially means “my pencil is my weapon.” Their murals highlight Mexico’s social and political issues, from disappeared students to drug lords and migrants. 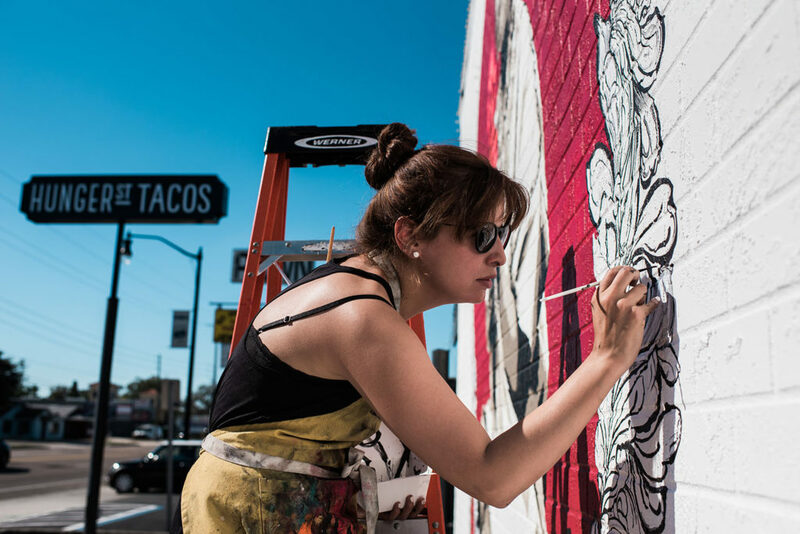 The murals at Hunger Street Tacos are by the Lapiztola art collective consisting of the graphic designers Roberto Vega and Rosario Martinez, architect Yankel Balderas and artist Liseth Amaya. Lapiztola comes from the Spanish words lapis (pencil) and pistola (pistol). A play on words, it essentially means “my pencil is my weapon.” Their murals highlight Mexico’s social and political issues, especially those affecting indigenous peoples. The Creeches appreciate not only the artistry of Lapiztola’s work, but the message. The mural on the side of our building is “Planting Dreams, Harvesting Hopes. This work was first painted in downtown Oaxaca and honors Bety Cariño who was murdered alongside of Jyri Jaakkola, a Finnish human rights activist while working in indigenous villages in the mountains of Oaxaca. The original mural was forcibly removed by local authorities. The piece on the front of our building is La Palabra Florece; which means the word blossoms. It was Lapiztola’s response to the powers that forced the removal of the Bety Cariño piece. It was their way of standing for justice by saying and encouraging others to say, we will not be silenced. The mural in our lobby is a scene depicting La Calle del Hambre or Hunger Street. The mural in the dining room is an unnamed piece representing a little boy and his dreams. 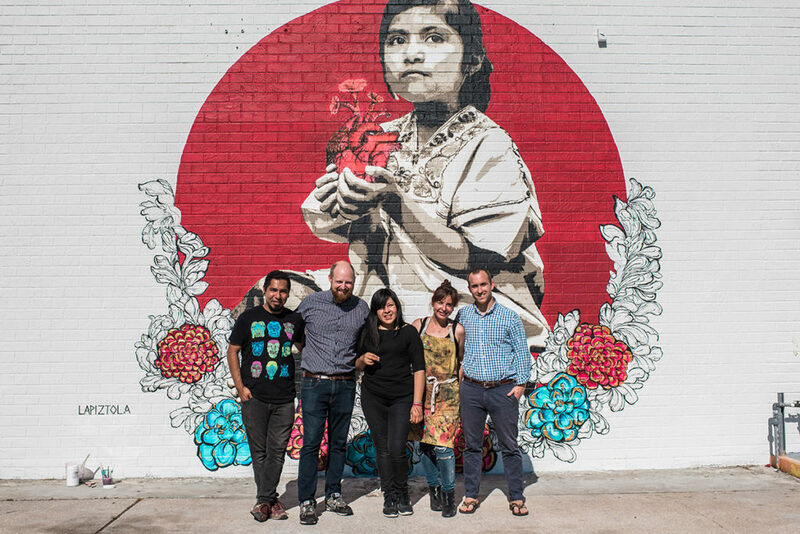 We are deeply honored and privileged to have the work of Lapiztola at Hunger Street Tacos. Hunger Street Tacos. Copyright 2017. All rights reserved.